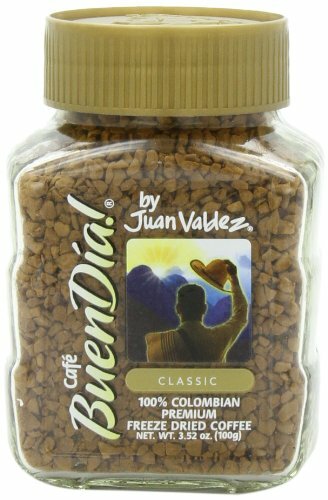 Buendia by Juan Valdez Regular Instant coffee comes from the finest hand pick coffee beans of Colombia. The freeze dried process used by the Colombian Coffee Growers makes it possible to enjoy the richest coffee in the world instantly. If you have any questions about this product by Juan Valdez, contact us by completing and submitting the form below. If you are looking for a specif part number, please include it with your message.